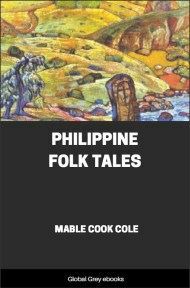 An anthropological work focusing on the tribes in the Philippines. Tribes covered include: The Bagobo; Bila-An; Kulaman; Tagakaolo; Ata; and, Mandaya. The west coast of Davao Gulf between Daliao and Digos is dotted with small villages, the inhabitants of which are largely Bagobo who have been converted to the Christian faith and have been induced to give up their mountain homes and settle in towns. Back of this coast line rise densely timbered mountain peaks, lateral spurs from which often terminate in abrupt cliffs overlooking the sea. From other peaks extensive grass covered plains slope gently down nearly to the water's edge. Deep river canons cut between these mountains and across the plains, giving evidence of active erosion for a long period of time. If these mountain chains and river courses are followed back it is found that they all radiate from one stupendous mass, the center of which is Mt. Apo, the highest mountain in the Philippines and reputed to be an active volcano. Near to its summit is a deep fissure from which, on clear mornings, columns of smoke or steam can be seen ascending, while the first rays of the rising sun turn into gold, or sheets of white, the fields of sulphur which surround the cone. Along the lower eastern and southern slopes of this mountain and its tributary peaks live the wilder branch of this tribe, whose traditions, religious observances, and daily life are closely related to the manifestations of latent energy in the old volcano. The exact number who fall under this classification is not known, Governor Bolton, who was intimately acquainted with the wild tribes of the District, estimated their number at sixty-five hundred, but this count did not include the sub-division here given as Obo. One enumeration, made by a Jesuit missionary, places the population at fifteen thousand, while the Government report of 1900 gives them eighteen thousand four hundred. The latter estimates are certainly excessive. It is probable that they were determined by compiling the population of villages reported to exist in the interior. The wilder members of this tribe are, to a certain extent, migratory, moving their villages from one location to another according to the demands of their mode of agriculture. Their rice fields are made in mountain-side clearings, and as the ever present cogon grass begins to invade the open land they substitute sweet potatoes or hemp. In time even these lusty plants give way to the rank grass, and the people find it easier to make new clearings in the forest than to combat the pest with the primitive tools at their command. This results in some new fields each year, and when these are at too great a distance from the dwellings the old settlements are abandoned and new ones formed at more convenient locations. It is probable that the total number belonging to this tribe does not exceed ten thousand persons. The influence of the neighboring tribes and of the white man on the Bagobo has been considerable. The desire for women, slaves, and loot, as well as the eagerness of individual warriors for distinction, has caused many hostile raids to be made against neighboring tribes. Similar motives have led others to attack them and thus there has been, through a long period, a certain exchange of blood, customs, and artifacts. Peaceful exchange of commodities has also been carried on for many years along the borders of their territory. With the advent of the Moro along the sea coast a brisk trade was opened up and new industries introduced. There seems to have been little, if any, intermarriage between these people, but their relations were sufficiently close for the Moro to exert a marked influence on the religious and civil life of the wilder tribe, and to cause them to incorporate into their language many new words and terms. The friendly relations with the Moro seem to have been broken off upon the arrival and settlement of the Spaniards in Davao. The newcomers were then at war with the followers of Mohammed and soon succeeded in enlisting the Bagobo rulers in their cause. A Chinese plate decorated with the picture of a large blue fish was offered for each Moro head the tribesmen presented to the Spanish commander. The desire for these trophies was sufficient soon to start a brisk trade in heads, to judge from the number of these plates still to be seen among the prized objects of the petty rulers. 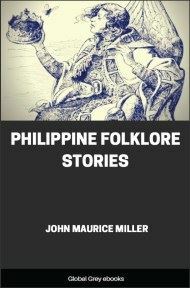 After the overthrow of Moro power on the coast, Jesuit missionaries began their labors among the Bagobo, and later established their followers in several villages. In 1886 Father Gisbert reported eight hundred converts living in five coast towns. Following the conflict between Spain and the United States, and during the subsequent insurrection, these villages were left without protection or guidance. As a result, large numbers of the inhabitants retired to the hills where they were again merged with their wilder brothers. Naturally, they carried with them new ideas as well as material objects. With the re-establishment of order under American rule many returned to the deserted villages while others were induced by Governor Bolton to form compact settlements midway between the coast and the mountain fastnesses. 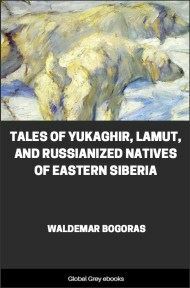 The influence of the Government has become stronger each year, and following the human sacrifice at Talun in 1907, that powerful village and several of the neighboring settlements were compelled to move down near to the sea where they could be more easily controlled. Schools have been opened in some localities and these, together with the activities of Catholic and Protestant missionaries, are causing a rapid change in the life and beliefs of the tribe.